MANILA CITY , METRO MANILA – Five cities in the Philippines were cited among the top 100 destinations for information technology and business process outsourcing (IT-BPO) services in a report by technology investment and research firm Tholons. 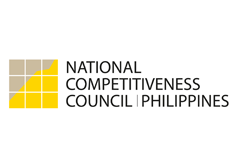 Tholon's January 2012 report states that the Southeast Asian region, particularly the Philippines, remains a “dominant figure” in the global outsourcing industry. Metro Manila is in fourth ranking in the Top 100, followed by Cebu City (9th), Davao City (69th) and Sta. Rosa, Laguna (86th). Iloilo City, meanwhile, is ranked 92nd improved by six notches. The top three cities are in India, which accounted for 13 locations in the Top 100. According to the report, voice-based contact support services continue to be a pillar for the outsourcing industry in the Philippines. It also highlighted on the growth rate of IT-BPO employees for Metro Manila (pegged at 10.6 percent), as well as the establishment of delivery centers for major technology brands such as HP, IBM, Dell, Convergys, and Teleperformance. 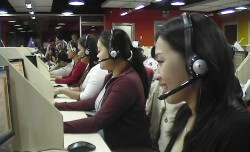 The IT-BPO industry in the Philippines generated at least $11 billion in 2011, up by around 20 percent the previous year. Bulk of this is contributed by the contact center industry, which employs at least half a million Filipino workers. The Tholons report also forecasts that Southeast Asia would remain strong in 2012, though more growth is expected from areas in in Europe, especially Poland and the Czech Republic. loQal.ph (http://loqal.ph/ ) is a website owned and operated by Filquest Media Concepts, Inc. It works under the principle of giving voice to the voiceless, empowering Filipinos and uplifting the image of the Philippines by highlighting its unique culture. To do this, the loQal.ph team produces stories, video, photos and other multimedia content types to inspire and celebrate Filipino achievements, ideas, products and places.